After hearing many good things about the MAC 217 brush, I finally ordered it with a 10% discount from Debenhams. 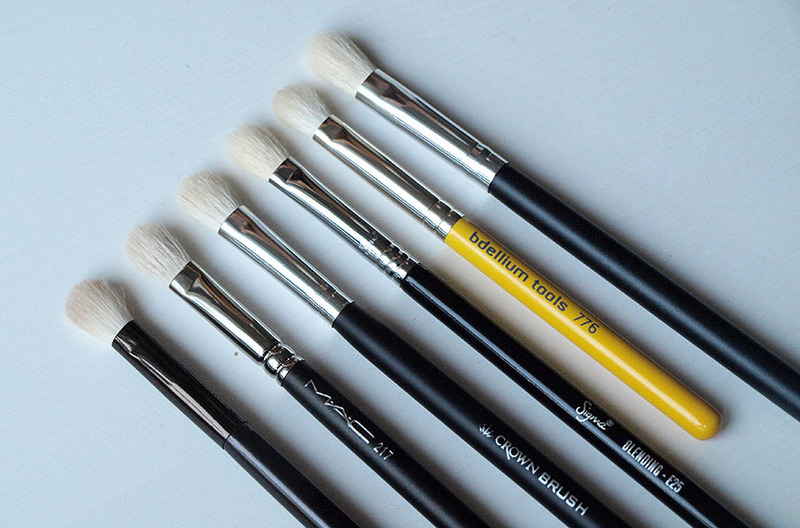 You can read my full review of 217 here, but today I would like to introduce you to some more affordable dupes of the brush, ranging from 99p to £10.50. Some of them are incredible and very similar to the amazing 217, some are simply ok and one is a bit disappointing. The best dupe of the 217 I had a chance to try is definitely the Sigma E25. The quality is amazing, the density is very similar to 217 and it does the exact same job. The bristles are slightly more fluffy and the shape is a bit wider, but overall - it is a fantastic dupe with a lower price tag. Perfect! Second place goes to Bdellium 776 - another fabulous dupe, with a more reasonable price tag. The bristles are slightly shorter and the handle is a travel size, but it doesn't change the fact, that blending eyeshadows with this baby is a real pleasure. I have a bit more control with MAC 217, but the final effect on the eye is almost identical. If C433 wasn't scratchy, it could have been a number 2 dupe in this post. It blends eye shadow beautifully and has a similar shape to 217, but it feels a bit scratchy on the skin and some of you might find it very annoying. Other than that, it is a great dupe and it is three times cheaper than 217. The cheapest dupe you can ever find is this cheap and cheerful ebay brush I ordered from Hong Kong. As you can see, it is actually called 217, but they seller isn't trying to sell a MAC replica, just using the same number to get more sales. The shape is very similar to 217, but slightly bigger. It looks like 217's big sister. For 99p, it does a fabulous job at blending powder eyeshadows and I ordered 3 more, just in case this one starts shedding. I have been using it for over 2 months though and it is still in perfect condition :) One downside: just like the Crown Brush C433, it might feel a bit scratchy. The only disappointing dupe I bought is the No7 offering and I simply can't stand it. Many people rave about it, so I am worried that the quality changed overtime, due to the high demand (it is usually sold out in store). The quality of the bristles is poor, it started shedding after a couple of uses and it is not dense enough to do a good job at blending. 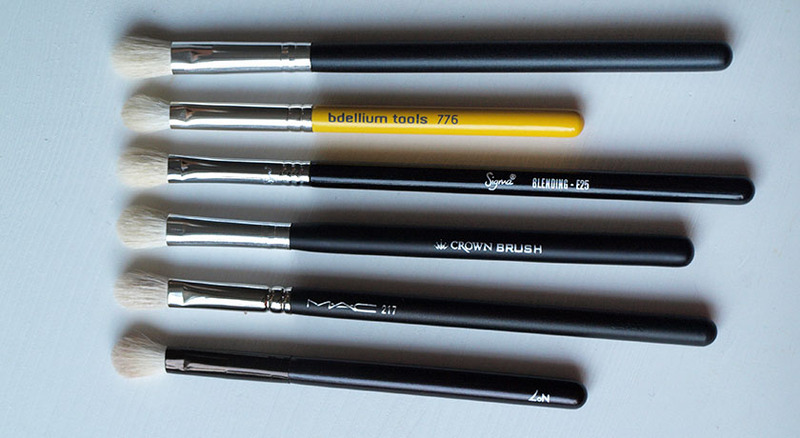 The bristles collapse as soon as I put any pressure on the brush and I don't like using it. Although... If you ever get a No7 voucher, give it a go- your might have better luck than me. I know that these vary in shape and quality, so it might depend on each individual brush. Overall, I am afraid that the one and only MAC 217 (£18.00) is impossible to beat and I can't seem to find an exact dupe for it, but if you want to save money, the Sigma E25 and Bdellium 776 are fantastic dupes and do a very good job at blending. The Crown Brush C433 is a good alternative too, but it is a bit scratchy, so is the 99p ebay option. 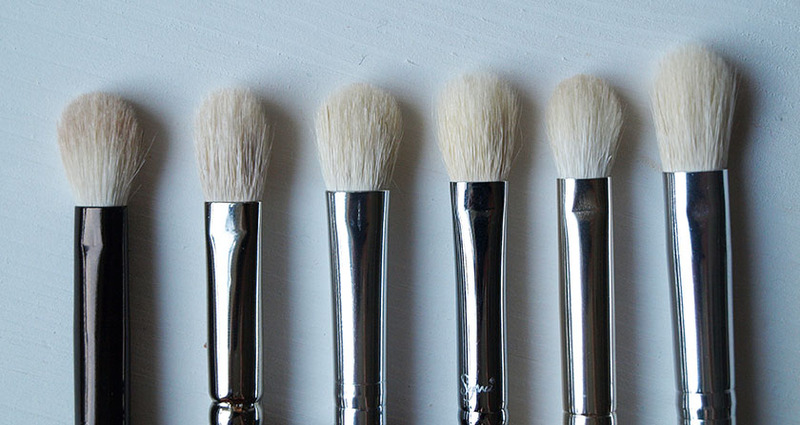 The only brush to avoid in my opinion is the Boots No7 Shadow Blend & Contour brush - it is a nightmare to use! PS. I know that all of these look very similar, but they really are different and you can feel it during the application and blending. 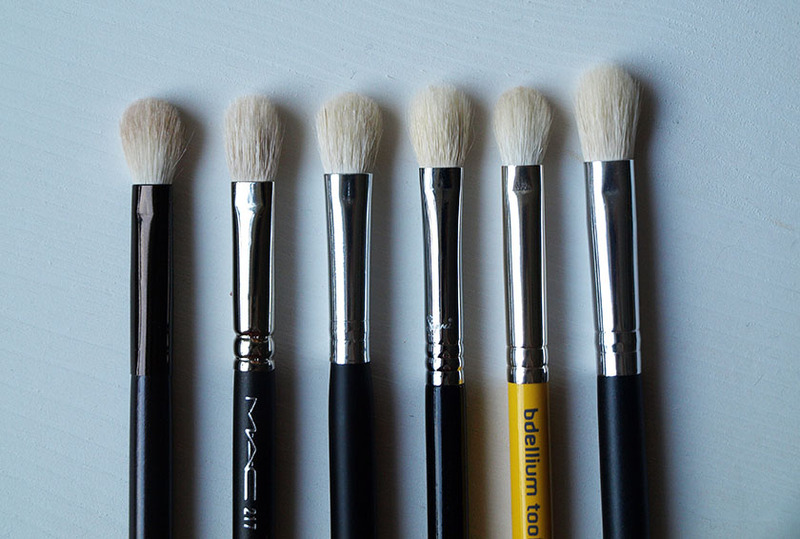 Please keep in mind, that these are my opinions and experiences and... brushes tend to vary in shape etc, so your experience or opinion won't necessarily be the same as mine and you might consider other brushes better than 217. 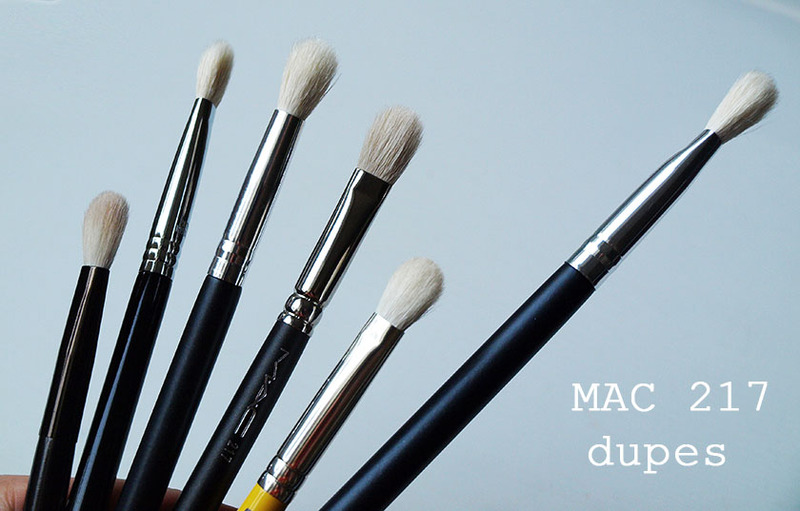 From all the blending brushes I have tried, MAC 217 is definitely the best. 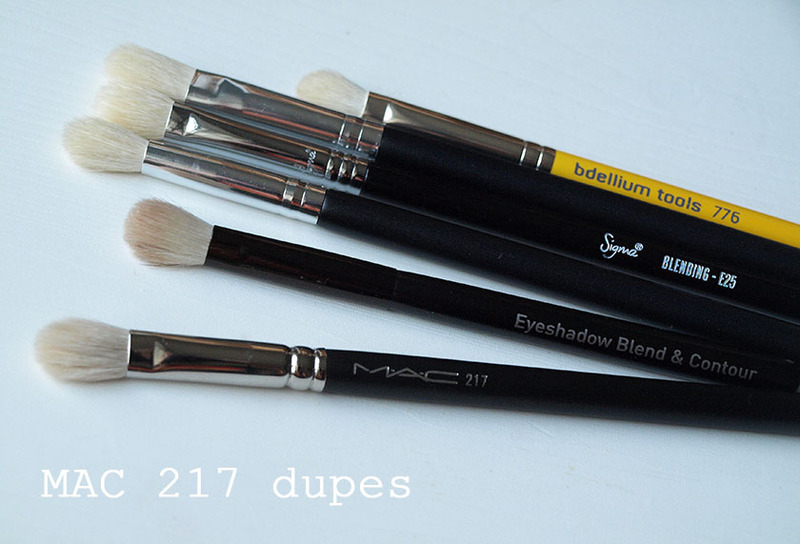 Are there any other dupes I should try? Apparently Zoeva's 227 is a very close match too.